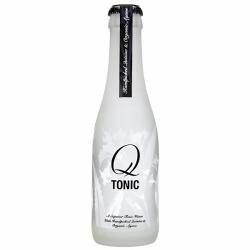 If you haven’t heard of or sipped Q Tonic, we highly encourage you to get some in your glass. It makes you wish they never stopped making tonic this way. Say good-bye to overly sweet Canada Dry. Q Tonic has fewer calories and is sweetened with agave syrup. It even has real honest to goodness quinine in it! Historically quinine was used to treat malaria but now it is touted by herbalists for digestion and it’s an anti-inflammatory. This is what gin (and vodka, and rum and just lime) been waiting for! 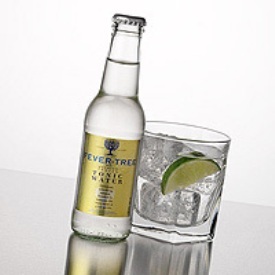 Another brand of tonic for flavoristas is Fever Tree from England. It is quite good. Fever Tree was available at my local liquor store and it was a tad less expensive. This one is made with sugar, which as an ingredient is less expensive than agave nectar. Fever Tree also makes true Bitter Lemon and Ginger Ale sodas. They had some nice drink recipes on their website.